We often talk about the Advent season, but how can you prepare for Christ on a daily basis? The USCCB put together a daily calendar of things you can live out the Advent season and prepare yourself for Christ's coming. § Bless your Advent wreath. Sing "O Come Emmanuel" and light the first candle. § Make or purchase an Advent calendar and open the window for the first day of the season or download our Family Advent Calendar and post it in your home as a reminder to take time for prayer and family every day during this holy season. § Put your leftover Christmas cards to good use by participating in the Holiday Mail for Heroes. . . program and sending words of gratitude to military service members. § Reflect on the readings for today. § During Advent, spend a few moments reflecting on the wonder of the incarnation and how you are called to participate in Christ's mission in the world. § Read a reflection on becoming a "3-G Catholic," or one who doesn't lose sight of the duty to get out the Good News of Jesus Christ in a society obsessed with high-speed information technology. § At Christmas, many inactive and less-active Catholics return to church (for example, see this study. . . ). How are you preparing to welcome these men and women to your parish during the holidays? Take time to discern and reflect on how you can be welcoming to visitors and infrequent churchgoers at Christmas (as well as Easter, Ash Wednesday, and all times of the year). § On this Feast of the great evangelizer of Asia St. Francis Xavier. . . , reflect on how your family evangelizes, both with words and through Christian example in your everyday lives. § Have you heard about the "new evanglization?" Find out what it's all about. § Petition the Lord in prayer for the inspiration and strength to be a "new evangelizer." § As you fill out your Christmas list, Consider purchasing gifts that support farmers and artisans and their families in developing countries and in low income communities in the United States. § Learn about the national collections for special causes that are held in the United States. Consider making donations to these collections in the name of family members or friends instead of giving material gifts. § The Philippines have been struck by two natural disasters in two months. As victims struggle to recover from the October earthquake and November typhoon, prayerfully reflect on how your family can help by donating to relief efforts. § Catholic Relief Services was already on the ground in the Philippines helping with the recovery efforts from the October 2013 earthquake when Typhoon Haiyan struck. Keep up-to-date on CRS' ongoing efforts.to help the people of the Philippines in the wake of the disaster. with the same consolation we have received. —from Catholic Household Blessings & Prayers, Prayer in Time of Suffering and Need. § On his feast day, read the story of St. Nicholas. . . , who is not only the original "Santa Claus," but also the patron of brides and children. Say a family prayer for engaged couples or children you know. § It is important to remember that Nicholas of Myra is also the patron of young families, as tradition holds that he helped to save three young women (perhaps teens, perhaps young adults) from a life of prostitution – and allowed them to have happy, holy marriages. This would be a good day to encourage people to pray for young adults discerning marriage – including dating and engaged couples, as well as young married couples in the first years of marriage, when societal and economic concerns can sometimes overwhelm and extinguish a growing relationship. 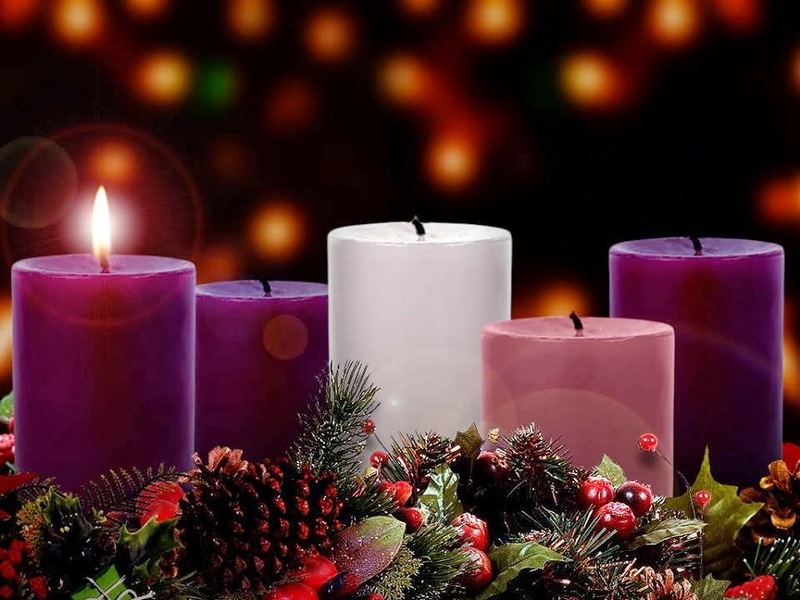 § Keeping the focus on Advent and not the coming joys (and toys!) of Christmas can be a struggle for parents. Read about one family who found a way to make Advent truly a time of preparation and contemplation.